In need of a professional Ohio electrician? 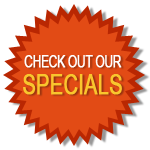 Call 614-392-2908 to contact the experts at Bradley Electric, the premier electrician in Columbus, Ohio. At Bradley Electric we use only skilled, licensed electricians and top quality materials to ensure we provide the very best in quality and service to our customers. Don't settle for less; call the professionals for your next project. Bradley Electric is a reliable, full service electrical contractor servicing central Ohio residential and commercial customers in and around Columbus. 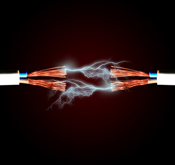 Electrician expertise has been our specialty for over 25 years. Our goal is to exceed your expectations by delivering high quality, cost effective service. 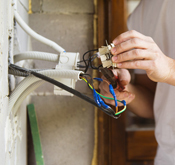 Our trained electricians provide fast, efficient, reliable service to our customers. Our flexible appointment times are set to accommodate our customers' schedules. We arrive on time and deliver the best possible service at very affordable rates. All work is expertly performed according to the National Electric Code (NEC) using only high quality materials. We are also a proud recipient of the Angie's List Super Service Award for 2010. As a business owner, building contractor or a client who requires industrial electrical services, you need a Columbus contractor who understands project timelines and provides fast, efficient electrical system solutions.